Sound Etiquette is a trio hailing from the Bay Area, formed by drummer Aaron Levin, keyboardist Eli Wallace, and saxophonist Nick Obando. Together, they work with an exciting sound palette, primarily guided by Wallace's sumptuous analog electric keyboard's shimmer and growl. 'Entrance' is an entrancing tune that kicks off like a soundtrack lacking a film. 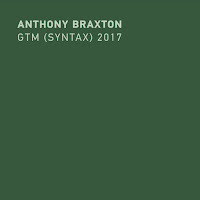 Short melodic bursts from the sax lock in with syncopated comping from the electric piano, the drums are an insistent splash of cymbal and snare. 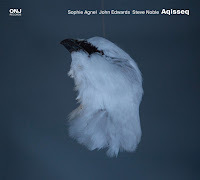 In the track's closing moments there is some free improv foreshadowing, and the follow-up 'Spiral Recollection' is quick to capitalize on this. Wallace employs a throaty sound and pushes out a thick groove that when meeting up with Obando's sax, simply explodes. By the third track, 'Escape Velocity', we're into some heady poly-rhythms between the drums and piano, along with energizing squalls from the sax. Relief can be found on tracks like the ballad 'A Clearing' where Obando's sax playing suggests the wee hours of a good night out, 'Solar Winds' may be the ultimate statement from the band - a decidedly early Weather Report like collective non-solo submerged in atmosphere and electro-acoustic colors. 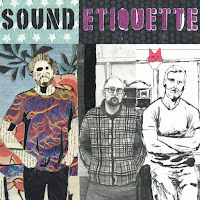 Sound Etiquette is a fine recording from this West Coast trio, with roots firmly planted in the soil of early jazz/rock, and growing into something else entirely. Dialectical Imagination is the duo of NYC-based Eli Wallace, heard here exclusively on piano, and Bay Area drummer Rob Pumpelly. Though configured minimally, the sound world that they create is big. Wallace approaches the piano with passion and Pumpelly - who is credited with the compositional concepts - provides perfect counter balance. 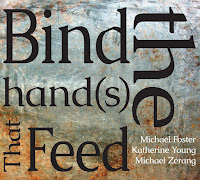 The album begins with 'Refusing Confusion', a title that could almost be read as a political statement in current times. 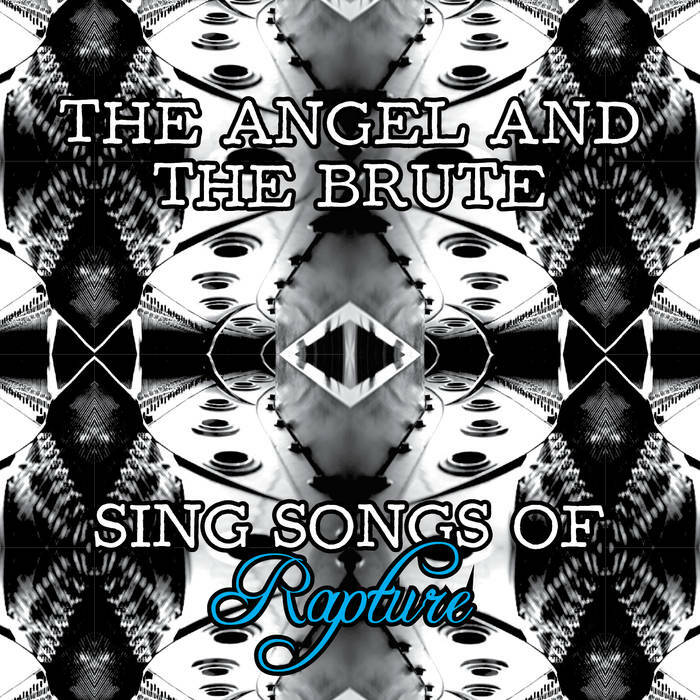 The track begins with the splash of piano and percussion, quick jolts of melody connected by a pulse, and about halfway through, it coalesces into a tremendous climax. Wallace's melodic instinct are sharp and he uses the momentum that he and Pumpelly generate to push and pull the listener through a grand tour of musical emotions. The track is an example of their exciting use of dynamics and yin/yang of inside/outside approaches to come. 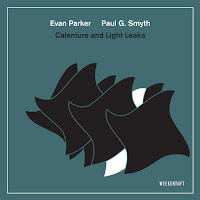 The following track 'Immutable Light' draws on a McCoy Tyner and Elvin Jones vibe, piano drenched in sustain, the blocks of chords building dramatically, while the drums become a powerful propulsive force. On the flip side, there is the tender openness of 'Sky in Eye Free of I', where the intro is dipped in a fine coating of melody, but becoming more fractured, and at times even ferocious, as the track progresses. 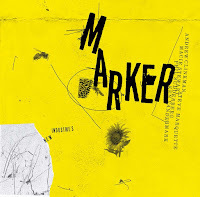 The album is, to the eye, a tape release, however, a quick inspection reveals it is actually a USB drive with both WAV and MP3 versions of the music files, along with the artwork. 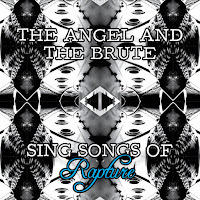 The Angel and the Brute Sing Songs of the Rapture can also be found for purchase on Bandcamp.